There are big decisions to make this week and the best rookie options are far from obvious. 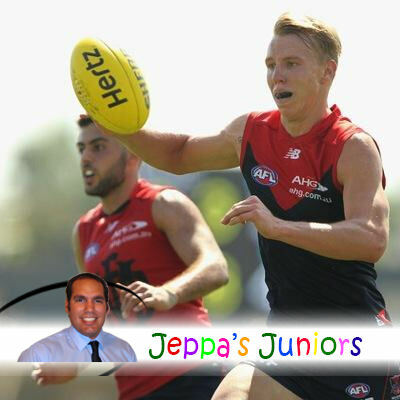 In a time of need, Jeppa looks at the facts and stats and gives us his opinion on who to trade in. I’m not going to lie, our rookie stocks are very thin. I cannot remember it ever being this bad. Fortunately, we’re all in the same boat so we just have to work with what we’ve got. Remember that the trades you make this week are significant with finals around the corner. Plan carefully…it’s all about job security now. James Harmes (Mid. $164,000, 11 be AF. $163,100, 13 be DT) was the junior that impressed me the most on the weekend. Starting in the green vest was far from ideal but in just over a quarter of footy Harmes was everywhere scoring 47 Fantasy points from 8 possessions, 3 marks, 2 tackles and 1 goal. His performance will see him avoid the green vest this week and he’s still cheap enough to trade in. He’s a likely inclusion for my Fantasy team. Kane Lambert (Fwd/Mid. $264,000, -7 be AF. $279,600, -12 be DT) started in a blaze of glory against the Hawks scoring 38 Fantasy points to quarter time. He was moved to tag Sam Mitchell in the second and unfortunately scored donuts that quarter but finished with a very respectable 79 at the final siren. Lambert has averaged 80 Fantasy points from his last three games and I doubt he’ll be slowing down anytime soon. Back him in. Sam Colquhoun (Def. $321,000, 31 be AF. $311,400, 39 be DT) owners would not have been happy seeing him starting in the green vest but an injury to Ollie Wines saw him come on at the start on the second quarter. 20 possessions, 7 marks, 3 tackles and 84 Fantasy points from 61% time on ground is a fantastic effort. Here’s hoping for a ton this week. Harris Andrews (Def. $283,000, 7 be AF. $296,100, 13 be DT) had definitely flown under my radar but 93 Fantasy points against the Cats on Saturday got my attention. The key tall’s strength in the air is impressive for a first year player and he had a game high 12 marks. Unfortunately, this week’s NAB Rising Star nominee is far too expensive to pick up now but his 3008 Fantasy owners and 629 Dreamteam owners can rejoice. Another Lion club, Liam Dawson (Mid. $183,000, -5 be AF. $164,700, -45 be DT) saw plenty of ball in defensive 50. The youngster wasn’t amazing but he was solid finishing with 15 kicks, 4 handballs, 9 marks and 80 Fantasy points. With a host of injuries at the Lions and his scoring potential proven, Dawson is a reasonable downgrade option this week and you must consider him especially with breakevens of -5 in Fantasy and -45 for Dreamteam. I sense that Isaac Heeney (Mid. $275,000, 49 be AF. $227,800, -6 be DT) is building back to the hot form we witness early in the season. The half forward had 12 possessions, 6 marks, 3 tackles and 63 Fantasy points on the weekend and sense more improvement. With Sydney’s good run home Heeney is an expensive but viable option for Dreamteam. Consider. Caleb Daniel, 74 (Fwd. $273,000, 20 be AF. $251,700, 12 be DT), Brayden Maynard, 73 (Def/Mid. $262,000, 28 be AF. $220,700, 2 be DT), Rory Lobb, 71 (Ruc. $276,000, 22 be AF. $283,100, 26 be DT), Jack Redpath, 67 (Fwd. $260,000, 23 be AF. $283,800, 52 be DT) and Blaine Boekhorst, 63 (Mid. $259,000, 29 be AF. $228,400, 0 be DT) round out the keepers this week. These youngsters are full of condifence on the field and this is translating into great Fantasy scores. It’s a long list but Jon Griffin, 62 (Ruc. $213,000, -2 be AF. $269,900, 24 be DT), Jayden Laverde, 61 (Fwd/Mid. $248,000, 28 be AF. $196,000, -15 be DT), Jake Kolodjashnij, 52 (Def. $176,000, 8 be AF. $174,000, 12 be DT), Tom Campbell, 50 (Ruc/Fwd. $292,000, 34 be AF. $285,400, 36 be DT), Nick O’Brien, 47 (Mid. $300,000, 25 be AF. $309,100, 25 be DT), Ben Lennon, 46 (Fwd. $212,000, 17 be AF. $236,500, 16 be DT), Hugh Goddard, 46 (Def/Fwd. $228,000, 44 be AF. $148,300, -4 be DT), Josh Prudden, 45 (Mid. $202,000, 12 be AF. $194,500, 7 be DT), Josh Glenn, 42 (Mid. $213,000, 37 be AF. $187,400, 15 be DT), Darcy Moore, 40 (Def/Fwd. $236,000, 42 be AF. $205,800, 4 be DT), Riley Knight, 37 (Fwd/Mid. $206,000, 25 be AF. $186,300, 21 be DT), Toby Nankervis, 37 (Ruc. $202,000, 20 be AF. $191,800, 20 be DT), Tom Downie, 26 (Ruc. $215,000, 33 be AF. $211,000, 38 be DT), Taylor Garner, 18 (Fwd. $172,000, 27 be AF. $163,200, 22 be DT) and Brandon Jack, 12 (Fwd. $237,000, 41 be AF. $248,800, 49 be DT) all have breakevens lower than / close to their averages so you shouldn’t lose out if you hold them. Do not hesistate cutting them off early though if you need the cash for an upgrade! Jack Steele, 37 (Fwd/Mid. $334,000, 79 be AF. $290,700, 77 be DT) was bound to cop a green vest this season and it happened on Sunday. We all know his scoring potential and I for one am holding him as my F9 in Dreamteam through the finals. Fingers crossed he bounces back. It’s unlikely Alex Browne, 12 (Def. $171,000, 24 be AF. $145,500, -3 be DT) will hold his spot this week after a very poor showing against the Dogs but if by some miracle he is named, hold him. He has an upside. If I haven’t categorised a player from Round 18 under ‘Keepers’ or ‘Don’t Panic’ then trade them out as soon as you can but when appropriate. Tom Barrass, 52 (Def. $157,000, -5 be AF. $124,600, -37 be DT) was the only two gamer from Round 18 and it doesn’t look like he’ll be sticking around with McGovern set to return this week. If you don’t own Barrass, avoid him. If he’s already in your team, pray McGovern needs another week or the Eagles pull a selection surprise. Lachie Weller (Mid. $256,000, 58 be AF. $162,900 DT) can pull the ladies and play football! Starting in the green vest on debut, he came on in the fourth quarter and was intent on winning the footy. In just 22% time on ground, Weller had 8 possessions, 3 marks, 2 tackles and an impressive 37 Fantasy points. Unfortunately, Ross doesn’t play the kids so I’d avoid him for the remainder of this season. Pies young defender Matt Scharenberg (Def. $184,000, 32 be AF. $124,600 DT) was a late inclusion for Tyson Goldsack on the weekend. On debut, he finished with 16 disposals (75% efficiency) but just 39 Fantasy points. Few marks and tackles significantly affected his scoring potential and I’d therefore wait another week before considering him. Injury prone Jono Freeman (Fwd. $145,000, 19 be AF. $170,700 DT) got his first run this season versus the Cats. With the experienced Lonergan on his backside, Freeman could only manage 6 touches, 5 marks, 1 goal and 38 Fantasy points. The Lions have great hope for their young key forward and he’ll play every game that he’s fit till season’s end. He’s currently my F8 in Fantasy but I’m not expecting any miracle scores from him. 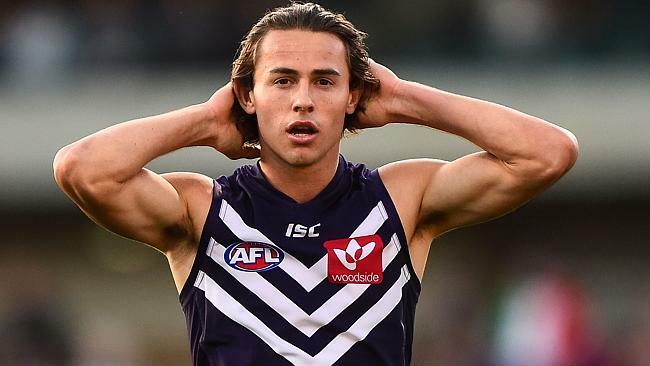 Zac Dawson, 40 (Def. $199,000, 35 be AF. $198,100 DT) is NOT Fantasy relevant and he’s suspended for two weeks anyway after his cheap shot to Jezza Cameron’s face. Back to back 4 goal hauls in the WAFL for Tom Lamb (Fwd. $209,000, 30 be AF. $117,900 DT) edges him closer to a senior call up. 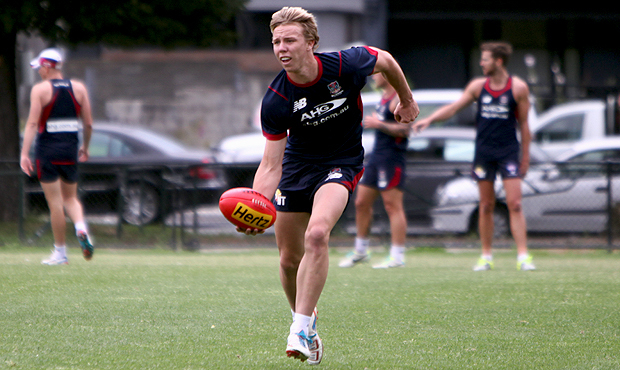 Bringing him in to face the Hawks this week is a big ask but the youngster is up to it! Andrew Phillips (Ruc. $151,000, 23 be AF. $182,900 DT) is another one gamer in line for a recall with a BOG performance for the Giants in the NEAFL. Please note that if I haven’t mentioned a rookie priced player above, it means they’re not relevant. Remember rooks are classified as players under $250,000 in Fantasy and/or Dreamteam. The axe will fall at the Pies after their loss to the Dees and Jonathon Marsh (Def/Fwd. $120,000, 22 be AF. $124,600 DT) should get a call up. 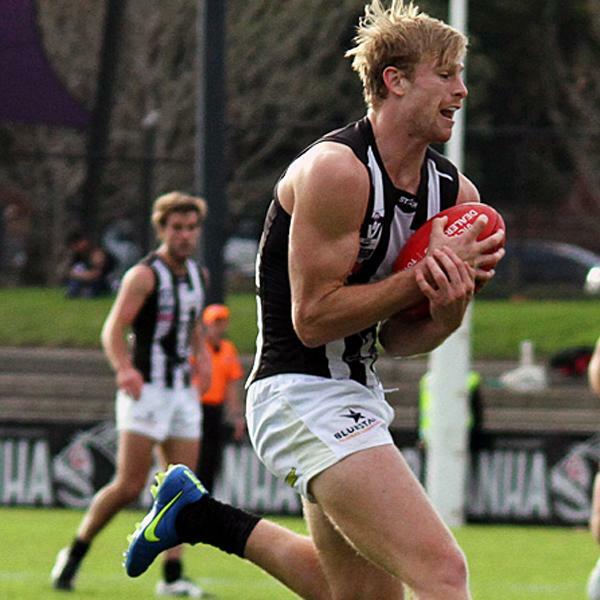 Playing as a key defender in the VFL, he’s strong in the contest, very athletic and reads the play well. Marsh isn’t the greatest kick going around but he has averaged 18 possessions and 64 Fantasy points in the reserves from his last 3 games. Note his defender / forward status. Calvin’s man crush Jason Holmes (Ruc. $120,000, 22 be AF. $124,600 DT) is a likely debutant this week. 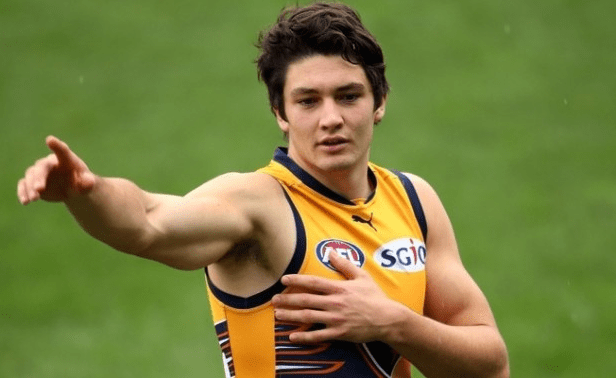 The American rookie has played our game for just two years but he’s already shown promise in multiple VFL games. Personally, I’d see what he does on debut before trading him in. Another ruckman Archie Smith (Ruc. $120,000, 22 be AF. $124,600 DT) could be given an opportunity at senior level for Brisbane with Matty Leuenberger going down with injury. If the Lions decide to play two ruckmen, they could play young Smith (instead of Trent West) to fast track his development. He’d be good for an average between 40 and 50 Fantasy points. Stefan Martin owners will hope Smith stays in the 2’s! My love for Ben Reid (Fwd. $146,000, 27 be AF. $222,000 DT) and Ed Langdon (Fwd. $142,000, 28 be AF. $117,900 DT) hasn’t changed with both performing well in the reserves. Reid’s quality shouldn’t be ignored if he’s named. Feel free to ask me a question below and don’t forget to add me on Twitter @JeppaDT for all things Fantasy and more. Happy trading! Is trading Steele to Lachie Hunter for F6 too risky? I have limited funds and need to get Browne and Steele off the ground. I do have Lambert on my bench but I was looking at trading Browne out, move Hodge to defence, Lambert to M8 and Hunter to F6. I am bringing in Hunter as F6 this week. Had been playing McKernan. Enjoy your weekly article, has helped me make better decisions this year. I am running low on cash, is there any rookie/player below $400k that you would still trade in and play on ground? Hey Jeppa, love the JJ article every week. What’s your opinion on Reid vs Freeman at F8? Essentially the same price, but would Reid have better scoring potential in the Pies outfit particularly if he plays loose in defence (though Pies will probably play him forward with White dropped)? Reid all the way. Hopefully this is the week he is named. Need to downgrade McKernan to someone to upgrade Steele -> Selwood. Who’d be your first pick? Can be any position except defender. Also would you field Smith or Colquhoun? Harmes, Dawson or Ben Reid if he’s named to play. which option do you think is most likely to provide the best scoring output? how bout hanley and zahrakis? Thoughts on McKernan, will he get back into the side and be alright? Stuck on my trades this week. I have Knight at M8, McKernan F6. McKernan to Hunter, Gibson to McVeigh and keeping Knight at M8. Dumont on bench to Hunter, McGrath F8 to Marsh F8. Knight will be bench over M7, Mckernan F6. I’d be keeping Gibson, unless you really can’t fix anything else. And I don’t think McKernan will be playing any time soon. mckernan to ben reid and dumont to Zaharakis? Do you think Ben reid is ok to field at F6? Right on the Money as always Jepp! Harmes, Dawson, Reid look the best inclusions at the moment. Trading in Hunter this week at F6. Backing him to average around 70-90 for the rest of the year with atleast 1 more 120 thrown in there. He’ll have the odd 60-70 score but can’t go past that high ceiling at 350k, and at worst he’ll make 100k in the next 2-3 weeks with a BE in the negatives. fair enough. if its one thing I’ve learned this season…downgrade/upgrade to premos no matter what. Surely Hunter for 20k more is a better option? I’d be wary of any suns playing forward of the ball. Scored 2414 last week so bit hesitant on getting rid of anyone. Last week before finals. Is it best to cash in this week and get some rookies? Id cash Amon/Dumont/Maynard/Edwards a combo of 2 of these. Although probably amon/dumont as maynard will make money this weekend still. cheers Killerbees. Edwards and Dumont would be going if I cashed in. Dumont out, Maynard to MIdfield, Marsh in Defence. Then probably Edwards to Barass $166K from memory banked. Sounds the way to go. think its the plan now barring any crazy omissions when teams are announced. I know, I have to get rid of Beams, but I’m not sure who is the best option and I badly have to upgrade my M8 position. Yes, you could also swing Lambert forward to and trade Zaharakis to fallen premo MID. Beams to Selwood and Wallis to McVeigh. You can then use the extra cash to upgrade Lambert next week. Lambert has good scoring potential (IMO) and will still make a lot of money.